Two members of the Vancouver-based 'High on Life' crew — who posted videos and photographs on social media last year of their tour of environmental disrespect through various U.S. national parks — will now spend a week in jail and have to pay stiff fines for their actions. U.S. Magistrate Judge Mark Carman sentenced Canadians Charles Ryker Gamble and Alexey Andriyovych Lyakh to seven days each in prison at a hearing in Wyoming's Yellowstone Justice Center Jan. 19. A third Canadian, Justis Cooper Price-Brown, was not sentenced to jail time but was ordered to pay fines. All three are banned from public lands in the U.S. for five years, according to court documents filed in the District of Wyoming. 'High on Life' describes themselves as a clothing and outdoor adventure company. In addition to jail time, Gamble and Lyakh will also have to pay over $5,000 US each in total fees, fines and other payments, with $1,500 US of that being a community service payment to the Yellowstone Forever Geologic Protection Fund. 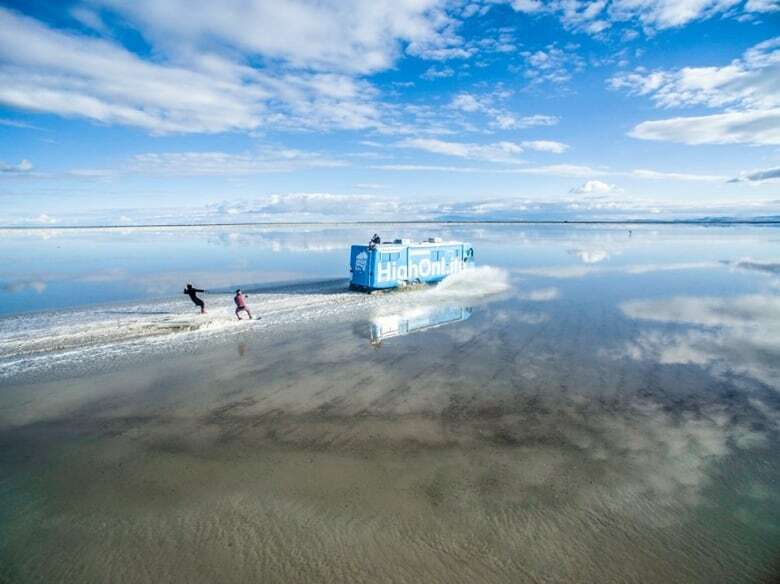 The pair both pleaded guilty to a number of violations, including walking off the boardwalk at Yellowstone National Park and creating a "hazardous or physically offensive condition" and using a bicycle off the roadway at Death Valley National Park in California. They also pleaded guilty to performing commercial photography without a permit in Death Valley and Zion National Park in Utah and for using a drone in a closed area of Mesa Verde National Park in Colorado. They have also been ordered to "remove from all social media and commercial use all photographs or video taken of illegal activities in Yellowstone National Park, Zion National Park, Death Valley National Park, Corona Arch and Bonneville Salt Flats Bureau Land Management lands." Price-Brown was sentenced to pay just under $6,000 US in various fees and fines, with $1,500 US of that being a community service payment to the Yellowstone Forever Geologic Protection Fund. Two other members of the group had already pleaded guilty to various U.S. national park violations in November 2016. They agreed to pay various fines and were banned from U.S. public lands for five years. Gamble`s attorney, Alex Rate, said in an email that his client and Lyash received jail time because they were charged with and pleaded guilty to a higher number of violations. "The other defendants were only present for part of the road trip and were charged with a smaller number of violations," Rate said. Judge Carman took Justis Cooper Price-Brown`s employment into consideration when deciding against a jail sentence for him, Rate added. Yellowstone National Park superintendent Dan Wenk said in a statement that Judge Carman's decision "sends a strong and poignant message about thermal-feature protection and safety." "We implore all visitors to learn about the rules in Yellowstone, respect the rules and follow them." 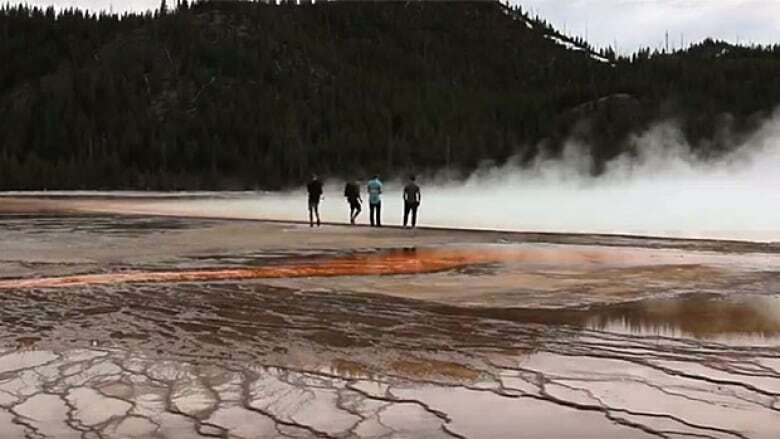 The 'High on Life' group came under a hail of vitriol on social media last year after they posted video and photographs of themselves apparently walking off the path at Yellowstone National Park to the edge of the Grand Prismatic Spring. Investigations were conducted into the group's activities on U.S. public lands, helped by tips from the public and from social media, according to the National Park Service.